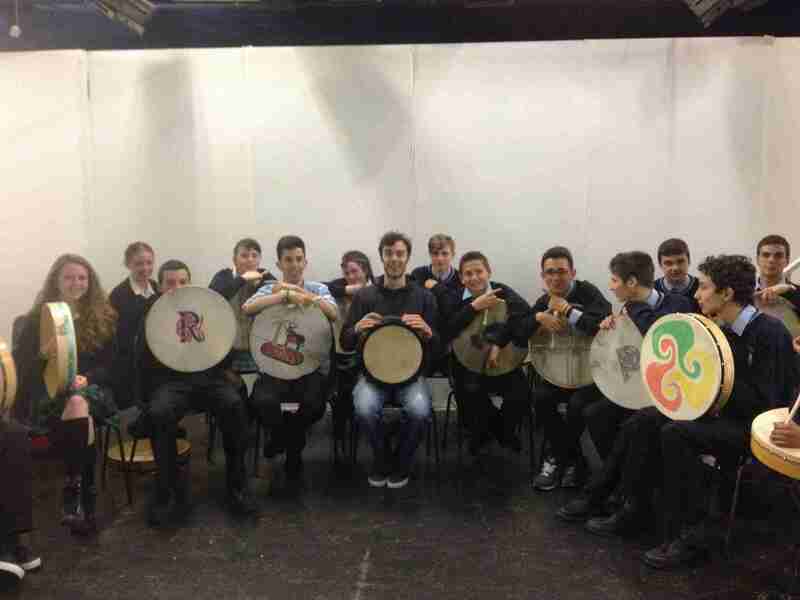 Rob O Connor prepares St Tiernans TY students for their debut performance on bodhrán. They were fantastic during rehearsals so their performance should be brilliant. Good luck everyone.